When planning out the routing for our trip, I was not even aware that Kasane (BBK) had an airport – credit to my wife for stumbling upon it when looking for accommodation. It worked out perfectly, saving a long drive back to Zimbabwe or Zambia with an additional visa fee. We arrived at the airport about an hour before the flight and found just a single lobby with a South African Airways Airlink and an Air Botswana ticket desk. The ticket cost was $224 one-way and would have been the same on Air Botswana. I booked it on Orbitz about a week prior to departure. 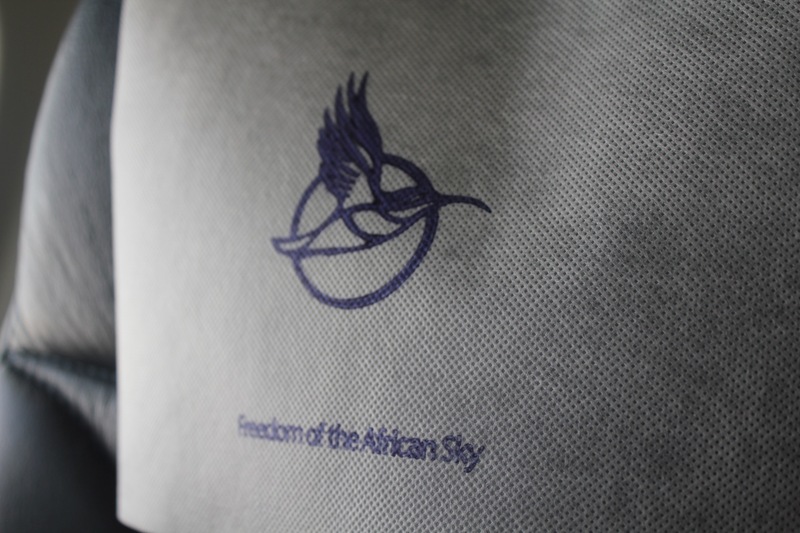 Airlink serves a regional carrier for South African Airways, much like Skywest does for Delta and United. The Air Botswana flight to JNB made a stop in the capital city of Gaborone, adding about four hours of additional travel time, so we chose Airlink, noting that we would receive United miles as well for the journey. Kasane Airport features a small snack bar, tourist information desk, and toilets in the check-in lobby. Outside is an Avis rental car office. Past security is passport control then a single gate-area, where a poster showcasing plans for a newly remodeled airport was on display. I watched the Airlink RJ-185 land and taxi. After all the passengers deboared, boarding commenced immediately and only a single general boarding call was made. Walking across the tarmac in the hot heat, we boarded our flight to JNB. My first flight on a British Aerospace 146! The aircraft was spartan in appearance, with no IFE but nicely padded seats and decent legroom. A curtain was present dividing business and economy, but the flight was sold as a single-cabin aircraft and the curtain never closed in-flight. With a flight time of 2hrs, I was hoping for a hot meal like on the BA flight from JNB to LVI, but once we leveled off a beverage service and cold sandwiches were served, either ham and cheese or chicken curry. Not surprisingly, my wife refused to touch the food but I was hungry so tried both sandwiches. It’s an economy class sandwich, but it served as a suitable snack. Coffee or tea service after the snack and then the two FAs disappeared for the rest of the flight. We landed on time in JNB, but taxied to a remote part of the runway and then had to be bussed into the terminal. We had left our large bags at an airport hotel, traveling with just carry-on and headed directly out to the curb to find a cab to take us to the Hyatt.